13250 S. Outer Forty Rd. Learn how you can share hope with the hurting children around the world by packing a simple shoebox gift. 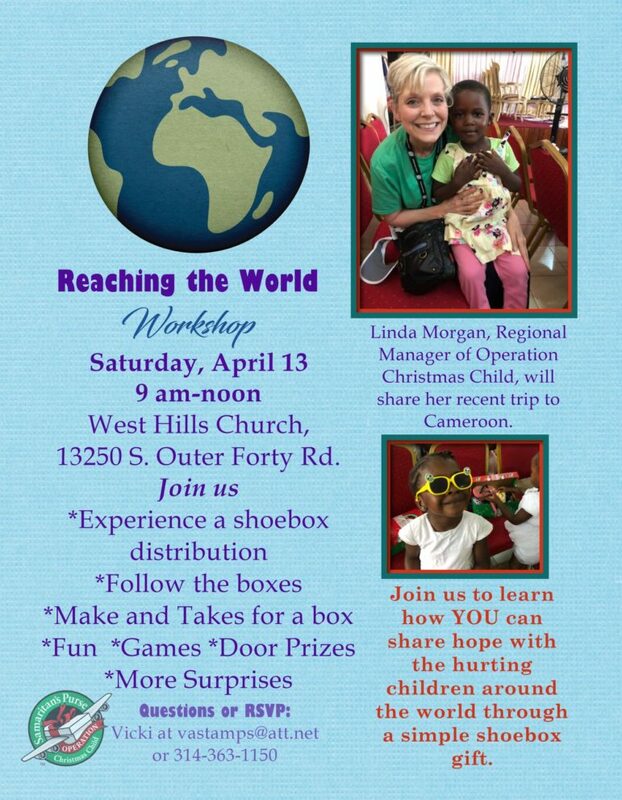 Linda Morgan, regional manager of Operation Christmas Child, will share her recent trip to Cameroon for a shoebox distribution. There will be craft projects, games, door prizes, and more. For questions or to RSVP: Vicki at vastamps@att.net or call at 324-363-1150.